Representation theory of big groups is an important and quickly developing part of modern mathematics, giving rise to a variety of important applications in probability and mathematical physics. 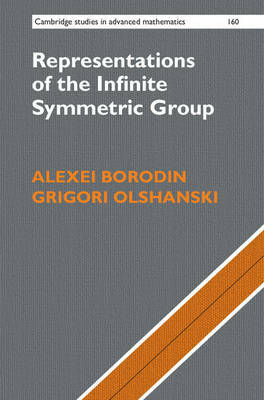 This book provides the first concise and self-contained introduction to the theory on the simplest yet very nontrivial example of the infinite symmetric group, focusing on its deep connections to probability, mathematical physics, and algebraic combinatorics. Following a discussion of the classical Thoma's theorem which describes the characters of the infinite symmetric group, the authors describe explicit constructions of an important class of representations, including both the irreducible and generalized ones. Complete with detailed proofs, as well as numerous examples and exercises which help to summarize recent developments in the field, this book will enable graduates to enhance their understanding of the topic, while also aiding lecturers and researchers in related areas.